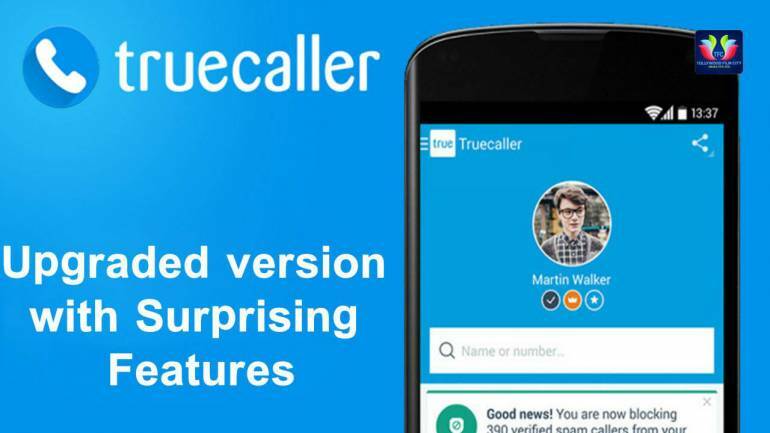 Let’s have a look at the method by which you can record the calls automatically using the true-caller app by simply enabling the call recording feature in the truecaller app and that too for free. So have a look at the complete guide discussed below to proceed. Basically, you will just need to enable this feature in your android. So have a look at the tutorial that we have explained just right below. So below is the step by step guide that will help you to implement this quickly. And I have attached all the required screenshot so that you can easily implement the things as the complete process is just following the few steps by which call recording will get enabled on your Android. Follow the below steps to proceed. First of all, you need to open your Truecaller app on your android phone. And once that is open simply click on the hamburger sign at the top left corner. Now from the options simply click on the settings to explore the more in the app. 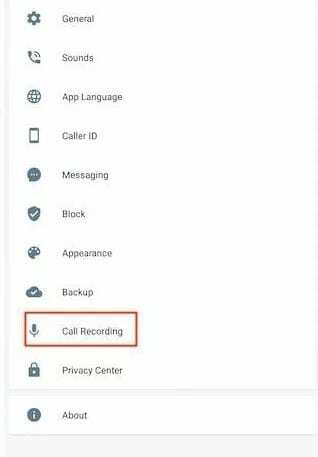 And now you will see “Call recording” option at the right bottom. Simply click on that. You will see that the feature is paid but is available for free 14 days trial that you can use at the time. And you will also need to provide certain permissions to the true caller app for this. 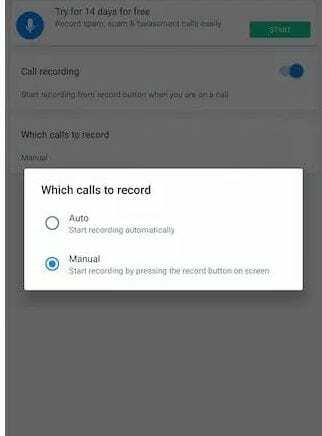 Once you enable that you will see the two option that is to record the call automatically or by manually. Here the choice is all yours. 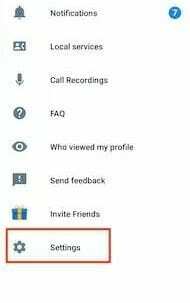 Now the feature will be activated on your android and when you connect the call recording will start automatically if you have chosen otherwise popup will appear to start the recording. 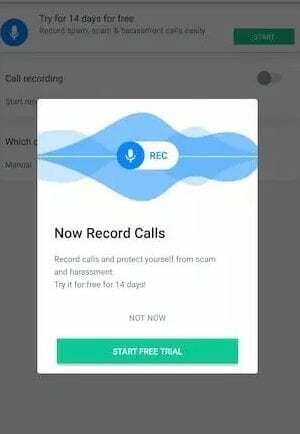 Recorded calls will get displayed in the truecaller app under the same call recording section that you can save or listen anytime. That’s it you are done recording is enabled and you can enjoy this without using any other third party tool.